Scientists using Harvard's Odyssey high-performance supercomputer have created the most realistic simulation of cosmic evolution to date. Scientists using Harvard's Odyssey high-performance supercomputer have created the most realistic simulation of cosmic evolution to date. 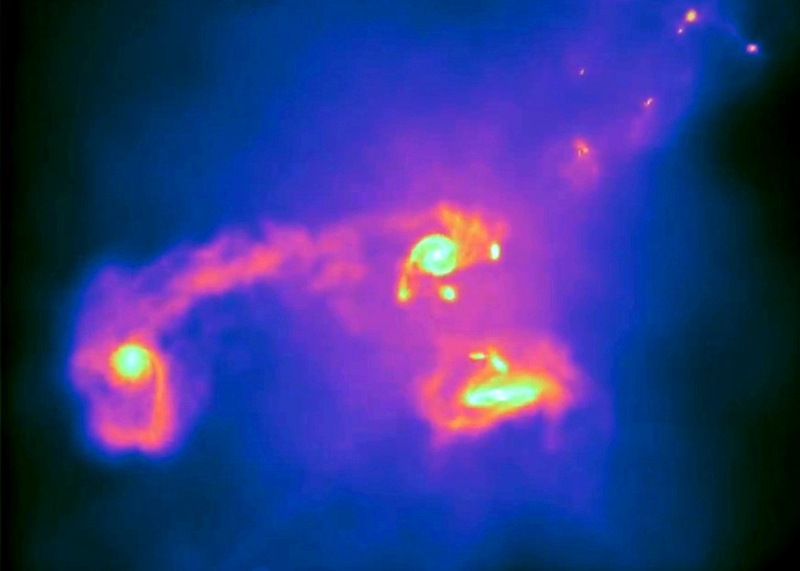 The researchers, from the Harvard-Smithsonian Center for Astrophysics and the Heidelberg Institute for Theoretical Studies, have developed a new computational approach that can accurately model the birth and evolution of thousands of galaxies over billions of years. Produced using newly created software called Arepo, the simulation is significantly more detailed than previous attempts at modeling the evolution of our universe and could become a vital tool for cosmologists. In creating Arepo, the team basically took all the advantages of previous models and removed the disadvantages, explains Volker Springel, one of the astrophysicists who worked on the simulation. Using the observed afterglow of the big bang as input, Arepo is able to accurately simulate the evolution of portions of our universe to date. "We've created the full variety of galaxies we see in the local universe," says Mark Vogelsberger another member of the team. This level of detail and accuracy is achieved by using a model grid that flexes and moves in space to match the motions of gas, stars, dark matter, and dark energy. By contrast, previous models have generally divided space into cubes of fixed size and shape and, as such, these models have tended to produce blurred, blobby galaxies. Arepo, however, is able to use its 'moving-mesh' approach to produce galaxies which really look like galaxies in all their full-fledged glory - the Milky Way, for example, really does have the broad disc and outstretched arms of a spiral galaxy in the simulation. Of course, this fluid dynamic approach requires a huge amount of computing power. However, by running the simulation on Harvard's Odyssey high-performance supercomputer - using a total of 1024 processor cores - the researchers were able to compress 14 billion years of cosmic evolution into just a few months computing time. Debora Sijacki, another astrophysicist who contributed to the research, sees the simulation's improvement on its predecessors as a giant leap forward, as significant in its own way as the benefits that the completion of the Giant Magellan Telescope is likely to bring the astrophysics community at the end of the decade. The next step, according to her and the rest of the team, is to simulate much larger volumes of the universe at the high resolution the Arepo software allows. The research is available on the arXiv here.